Vanesa is from Tegucigalpa and is the middle child out of five. She lived with her mother before coming into the ministry. Her oldest sister, Gladys, and her brother, Anderson, were each in the ministry at one time. They are an extremely poor family and the father abandoned them. 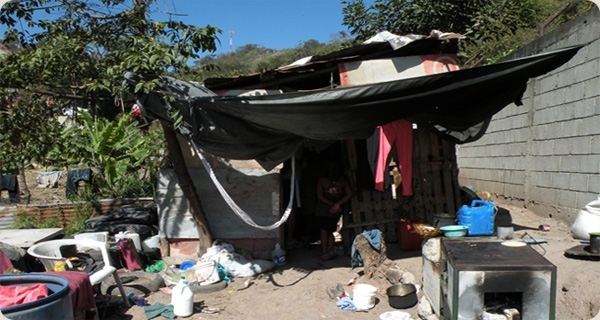 They lived in a small shack with a dirt floor and no running water or electricity. 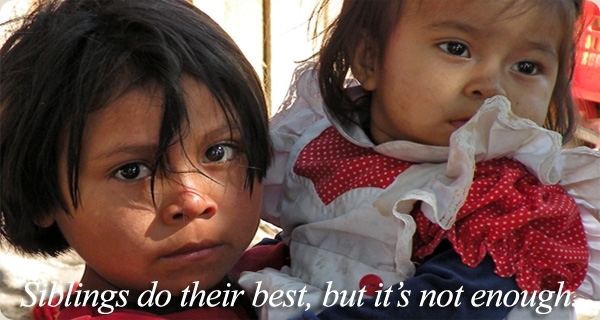 Their mother tries to earn money by selling vegetables in one of the open markets, sometimes making $10 a day. Vanesa is a beautiful, sweet but shy little girl. She is somewhat insecure and has signs of anxiety and depression. Vanesa’s favorite colors are purple and blue. She likes to swim and skate, and her favorite foods are fried chicken and pizza. She says she would like to be a teacher someday! 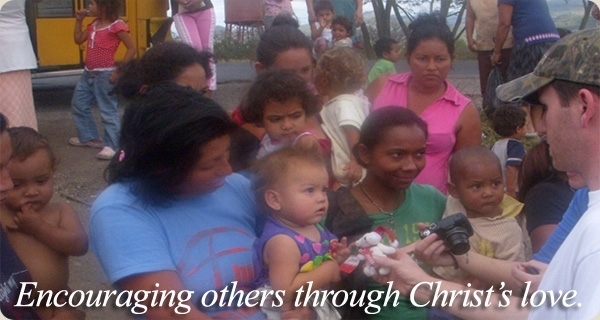 Pray for Vanesa as she continues to adapt to being in the ministry and for her family. She entered FCM on February 26, 2014. Denia arrived at Grace Home in September of 2015. She has two sisters, Pati and Mayde, who are also in the ministry. She has two more siblings still at home with their mother who makes her living sorting garbage at the city dump. Denia and her sisters had not gotten to attend school before coming into the ministry, and they love to learn! Denia is a beautiful young girl with a sweet, shy demeanor. She loves learning English and practices new words every day. Her favorite color is pink. She likes to skate, dance, and model! Her favorite foods are fish and strawberry ice cream. Franyeli entered the girls ministry in May of 2015. She is the cousin of Leibi and Solanyi who also livein the ministry. Her mother is very poor and lives with her sisters in an area near the shelter. She has 1 little sister. Franyeli likes pizza and her favorite color is red. She likes to skate and ride bikes. She isextremely smart and does very well in school. She is a delight to be around! Please pray that Franyeli will soon come to fully understand the love Christ has for her. Abigail is from Montaña de la Flor, where she lived with her mother, father, and siblings. She has 6 brothers and 1 sister. One of her brothers, Dany, used to be in the ministry, and another brother Eduar is currently in the ministry. Their mother wanted to get them away from the difficult situation where they were living and asked if we could take them into the ministry. Abigail is observant and smart. She is shy at first, but is so much fun once she gets to know you a little! Her favorite color is pink, her favorite food is beans, and she loves bunny rabbits! Abigail came into the ministry in December 2019. Maide loves to dance! She arrived at Grace home for girls with her two sisters in September of 2015. She has not stopped jumping and moving since! Previous to coming to the ministry she lived at the city dump with her mother and 4 other siblings. The two youngest remain with their mother. The second day that the girls were with us, Maide jumped in delight when called to wash her hands for lunch. She looked at me with a big smile and said, do you know we eat 3 meals a day here? What a joy to see her being nourished physically and spiritually here at FCM. Her favorite color is purple. She likes to sing, dance, and play tag. Her favorite foods are hamburgers and fish. Maria came to FCM in July of 2016 along with her brother Yoni. Her brother Wilson was already living at Finca Grace. 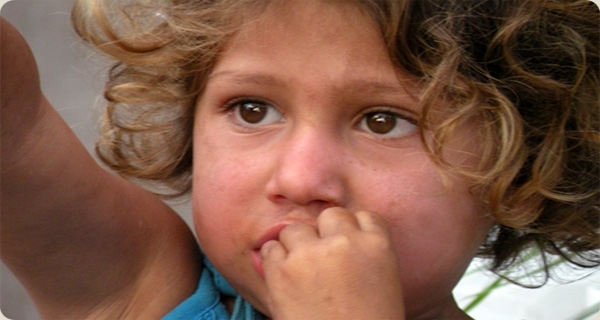 Maria and her two brothers lived in Talanga until being abandoned by their parents. Maria was only 9 months old when her mother gave her up. She lived in two other ministries before coming to FCM. She had the privilege of attending a bilingual school for a couple years and speaks a good bit of English. She is smart and curious. She is quickly making friends with our girls. Our prayer is that she and her brothers build a strong family bond amongst themselves and with our FCM family as they grow in Christ. One day, we trust they will find true joy in claiming God as their heavenly father. Maria likes purple and green, and her favorite food is Popeye's chicken. She loves to swim and skate. Nahomi entered the ministry by way of a very loving father reaching out for help after he heard about FCM ministry from living in Monte Redondo area, close to our farm and boys facility. He has been a single dad for years since Nahomi's mother left and works as a bricklayer to provide for her and her other siblings. He wanted her to have a brighter future with a chance at obtaining an education, and to have a motherly role model, so we welcomed her in on April 23, 2018. Nahomi has a tender, sweet demeanor and can be shy at first, but she quickly warms up to team members and the other girls. She is very smart and likes to read. She is starting 2nd grade. Her favorite color is red and she loves to ride bikes, see saw and swing at park. Her favorite food is fried chicken and cabbage salad. Please be in prayer as she adjusts to her new life here at FCM. 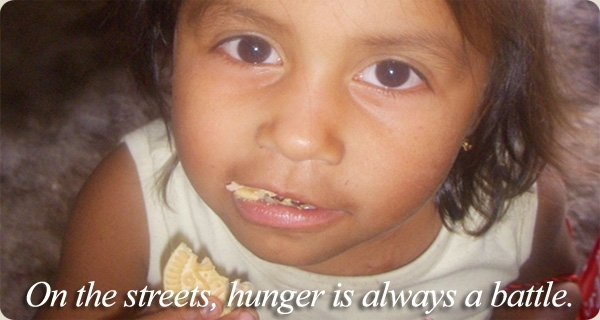 Nancy is from Tegucigalpa and comes from an extremely poor family. Her father was very abusive and an alcoholic. They had no money for food and she was taken from the home by IHNFA, along with her brothers, Duglas and Daniel, who are also in the ministry. She is a very quiet and smart young lady. Nancy thinks she would like to be a teacher some day. Her favorite color is turquoise and she likes to draw and fix the other girls' hair. Her favorite food is pizza. She has a smile that will light up the room and is happy to be in the ministry! She entered the ministry on March 16, 2011. Nataly is from Tegucigalpa and lived with her mom, grandmother and 2 sisters, Sherry and Isayana, which are also in the ministry. Her father died when she was very young and they were in extreme poverty. After the grandmother died, their mother couldn’t take care of them. Nataly came into the ministry at 4 years old and is full of energy! She has a sweet personality and is a little cutie that will melt your heart. She likes to skate and watch tv. Her favorite food is chocolate cake. Her favorite color is blue. Nataly entered the ministry on April 14, 2011. Nayeli is from Tegucigalpa and lived with her mother, father (who is an alcoholic), and 11 brothers and sisters. Her mom sells aloe plants downtown on the streets to try to make money for the family and would often take her and the younger siblings with her. She was picked up off the streets by IHNFA and was there for about 6 months before coming into the ministry. Nayeli is very smart and especially likes learning English. Her favorite colors are blue and pink. She loves to sing and read. Her favorite food is spaghetti. Nayeli has asked for prayer for family and the ministry. She entered the ministry on January 12, 2012. Pati came to live in Grace home for girls with her two sisters, Mayde and Denia, in September of 2015. Many of our teams have ministered to her family and others by cooking and serving the people who work sorting garbage in the city dump. They are some of the poorest of the poor. Pati has a zeal for life and learning. She had not attended any school when she entered the ministry but is learning quickly! She has a giggle that will make you smile. Her favorite color is blue. She likes to play Uno and tag, and her favorite food is fried chicken. She may be small in stature but she is large in personality. Sherry is from Tegucigalpa and lived with her mom, grandmother and 2 sisters, Isayana and Nataly, which are also in the ministry. Her father died when she was very young and they were in extreme poverty. After the grandmother died, their mother couldn’t take care of them. Sherry is a quiet young lady that watches everything around her. She has a sweet smile and helps take care of her younger sisters. She loves music and likes to learn songs in English. She likes to study Spanish and Social Studies in school. Her favorite food is fried fish. She also likes to read, watch tv, and play sports. Her favorite color is red. She has asked for prayer for her family, her mom and her studies. Sherry entered the ministry on April 14, 2011. Lisbeth is from Tegucigalpa and entered the ministry on April 19, 2018, after her mother reached out to one of our FCM staff ladies for help. Her father left them and her mother was struggling to raise her and her younger sibling alone. Lisbeth is very social and affectionate. She is doing well as she entered in as a 2nd grader in school. Her favorite color is pink and she loves to play outside with the other ministry girls, but her favorite thing to do is jump rope. She loves to eat pizza and fried chicken, too. Please pray for smooth adjustments for her and her family as they deal with this new separation, and that she could take advantage of a hope-filled future. Solanyi entered the ministry in May of 2015. She is the cousin of Leibi who is also in the ministry. She has a younger sibling. Her mother has no money to care for her children and has placed this sweet child in the ministry to be able to educate and provide a better life for her. Solanyi likes the color blue, likes to watch tv and swim, and loves to eat cake! She loves being the baby of the ministry and the older girls care for her like little mommas. She will steal your heart in a second! . Please pray for her mother and for the moments of homesickness that this sweet little girl has. She misses her mother and aunt very much. Fabiana entered the ministry in May of 2015. She has a brother named Jonathan who is also in the ministry. 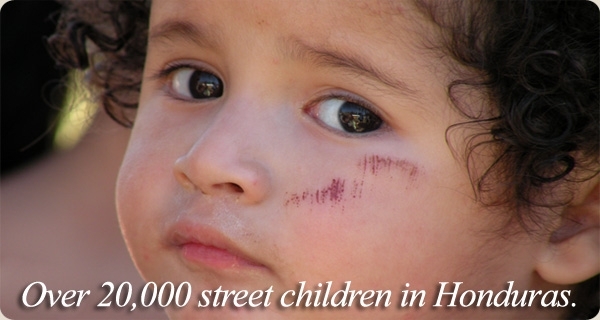 Fabiana lived in Tegucigalpa with her mother and 6 brothers. Fabiana had not attended school previous to being in the ministry but is advancing quickly in her studies. She is a quick learner. Her favorite colors are pink and aqua. She enjoys swimming and riding bikes, and she likes to eat fish. She is a bright, outgoing personality and makes connections with team members quickly. She has a smile that will steal your heart away. She believes God is good and powerful. 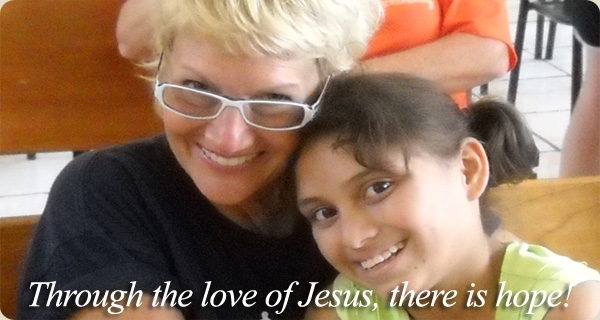 Please pray as Fabiana learns more about this wonderful faithful God who is her Savior. Please pray for her family and for 2 brothers that are in gangs. If you would like additional information on sponsoring a boy from FCM, please click here.